It’s hard to imagine a world without music, especially considering how much of it is instantly accessible through internet-connected mobile devices. Popular online music streaming services, such as Pandora, Spotify, and Apple Music, make it easier than ever to discover new songs and artists. And there’s no need download or save any music either – listening to online streams is like tuning into local AM/FM radio stations. However, there are times when one may want (or be forced) to skip the streaming service in favor of playing music that has been saved locally to a device. Maybe you are going somewhere where there's no (or bad) connectivity or maybe you simply want a higher-quality sound (streaming services often use a lower quality format). Although smartphones/tablets and desktop/laptop computers come with basic programs/apps for playing music, the internet has ample alternatives to explore. While some third-party MP3 music players have an upfront download/purchase cost, plenty more are highly-rated and totally free to use. We prefer to focus on the latter, many of which have premium versions that offer additional features and/or enhancements. Ultimately, any music app will handle your locally-stored collection perfectly well – most all provide volume/track controls, equalizer adjustments/presets, tag editing, playlists, song/library search, and support for different types of music files anyway. However, each of the following (listed in no particular order) stand apart from the rest through unique aspect(s) that will appeal to different types of users. 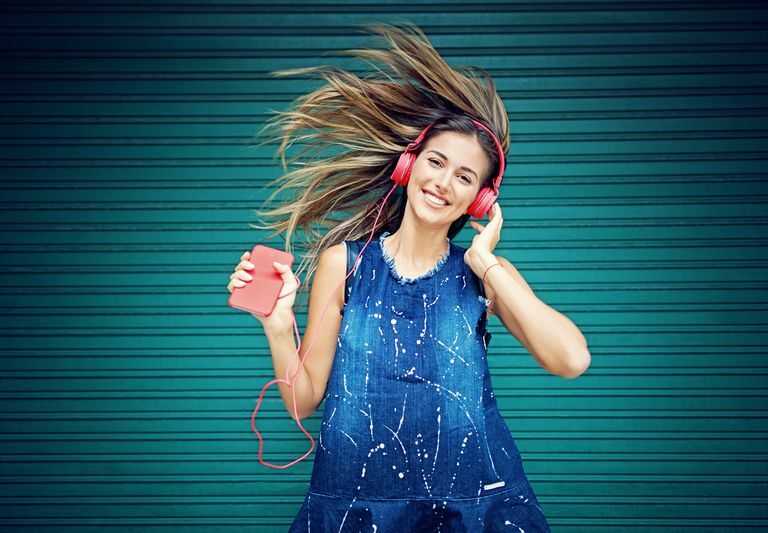 Read on to find out which free music player is best for you! Premium version is well worth the small fee. Consumes a lot of battery power. No option to shuffle all songs. Stellio may seem like any other generic music app at a passing glance, but there are reasons why it has maintained such popularity with Android users. All it takes is one finger swipe to jump back and forth between the currently playing song, track queue, and music library (it even keeps the place you were last looking). The interface is responsive with quick and distinctive access to everything. Any questions about Stellio’s layout can be answered through a Tutorial option (available via dropdown menu), which presents an explanatory overlay. Along with a 12-band equalizer and selection of presets, Stellio offers useful features (e.g. gapless/fading playback on/off, resume after call/headset on/off, lyric display, downloadable album covers, high-resolution audio support, etc.) and a customizable notification/control bar to personalize the experience. And if all that wasn’t fun and cool enough, Stellio’s appearance constantly shifts to mirror the album art of songs as they play. Listen lets users control music through gesture-based swipes and taps. MacPaw Inc.
Easy to import podcasts via RSS. Only available for iPhones and iPads. iPhone/iPad users who like the idea of full music control through simple taps and swipes can appreciate what Listen has to offer. Tapping anywhere on the screen plays/pauses songs, while left/right swipes changes tracks. Swipe down to browse through all the music available on the device, and swipe/drag up to add the current track to the favorites playlist. Want to skip ahead/back in a song? Force-touch the screen and rotate your finger. Although Listen doesn’t offer much in terms of settings/options (beyond AirPlay connectivity and sharing tracks to social media), it’s strength lies in function and elegance. Gestures register anywhere on the entire screen, which means you can control music without having to look – ideal for when your attention is focused somewhere else (e.g. driving). The clean, uncluttered design works smoothly in both portrait and landscape orientation. Great tool for aspiring and professional DJs. Integrates with Deezer, SoundCloud, iTunes, and other popular music services. Full version requires a paid subscription. Free version includes too many intrusive ads. If you sometimes listen to a song like it’s a blank canvas instead of a finished work of art, you might have what it takes to create a wicked remix. Edjing Mix is a free music player that also lets you unleash your inner DJ. Play songs from your local music library and, when inspiration strikes, manipulate tracks using the host of tools and audio FX right at your fingertips. Features, such as volume/equalizer adjustment, crossfade control, rhythmic effects, BPM detection, real-time audio analysis, slip mode, looping, samples, and more, are easily accessible through an intuitive interface. Create in the moment during live sessions, or save recordings to play later and/or share to social media. The scrollbar is finicky on some devices. Shuffle feature shuts off automatically after a few songs. If full functional customization is your thing, you’ll enjoy the depth that BlackPlayer has to offer. There are options for extra track info, actions, text animation, interface display, custom lockscreen, audio control (e.g. equalizer, gapless playback, crossfade, sound effects), gestures, library views, artist/album cover download/selection, tag editing, and more. If you browse music by artist, you’ll be presented with a biography (can toggle on/off) page between the lists of albums and tracks saved to the device. BlackPlayer also lets users modify the visual appearance (requires BlackPlayer EX for most options), complete with a selection of button styles, themes, typefaces, font styles, transparencies, transition effects, and colors (allows hex color code input) for the various bars, windows, backgrounds, and text. Offers a free trial and flexible subscription plans. Seamless integration with Spotify and Tidal for pro subscribers. Navigating the UI can be cumbersome. Doesn't ignore articles like "the" and "a" while alphabetizing artists. Care more about the music and less about fiddling with app settings? If so, then Boom for iOS may be what you’re looking for. Like any other music player, Boom features the common track controls and visual layout for songs being played. But the way this app stands out is through the extra steps taken to enhance the music listening experience beyond basic 5-band adjustments. Boom features audio effects that include customizable 5.1 3D surround sound, two dozen curated equalizer presets, and a slider to fine-tune the intensity. The app also prompts you to select the headphones (e.g. over-ear, on-ear, AirPods, earbuds, IEMs) being used so that the audio enhancements are specifically tailored to the type. It’s like an instant upgrade to your headphones/earphones without having to spend a dime! Vastly extendable with free plugins and UI skins. Can play damaged videos and media files in unknown formats. Tagging and editing metadata for media files isn't as easy as it should be. 4K video playback is sometimes choppy. Media isn’t strictly limited to just music. Those who would save video files on a device to enjoy later on may appreciate having one app that can handle it all. VLC Media Player is a cross-platform audio and video player that supports pretty much every common (but also some ‘weird’ ones) audio/video file format out there. Subtitled DVD ISO playback on a tablet? Easy. Want to enjoy your FLAC audio music on iOS? No problem. You can even connect and stream from shared network drives/devices and website links. VLC Media Player has a standard, no-frills kind of interface that gets the job done. But what the app lacks in lavish looks in made up with proficient performance, backed by handy settings. The important adjustments you can make are related to improved control and app stability (i.e. particularly with video files). Those who like to customize music playback can do so with the 5-band equalizer and 18 presets. But best of all, VLV Media Player is completely free with no ads and no in-app purchases to infringe on your experience. Microsoft’s Bread Player, it’s not your ordinary slice of toast!